Tissue fibrosis is common in a number of human diseases and contributes to high levels of morbidity and mortality each year. It has been estimated that ~45% of all deaths in the US are due to fibrotic disorders. Dermal fibrosis is a symptom common to a number of diseases including scleroderma (systemic sclerosis) and chronic graft-versus-host disease (cGvHD). 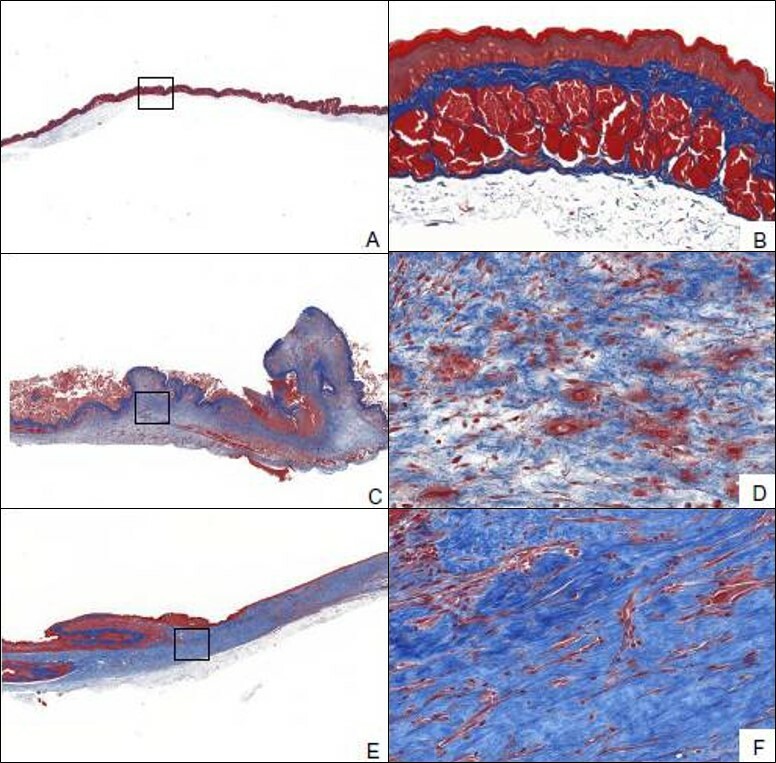 While it has been shown that dermal fibrosis is characterized by increased levels of growth factors and profibrotic molecules, activation and differentiation of fibroblasts into myofibroblasts, and aberrant formation of extracellular matrix, a need for therapies that target the prevention and progression of dermal fibrosis still exists. 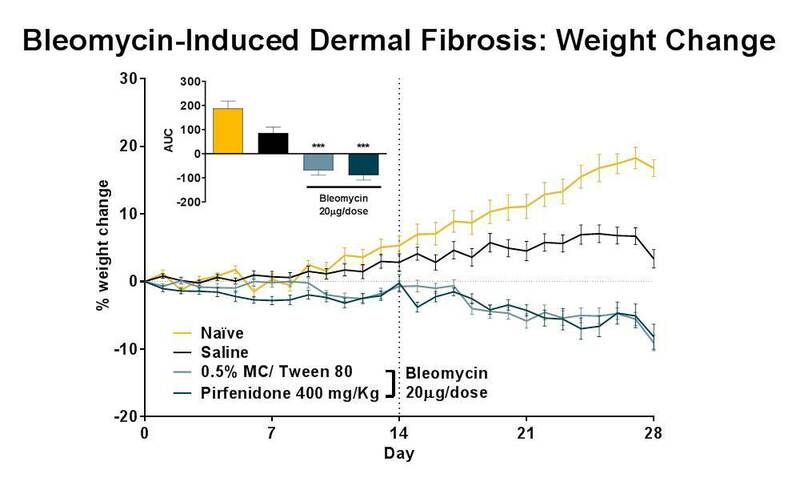 Bleomycin-induced dermal fibrosis is a standard model of human dermal fibrosis. 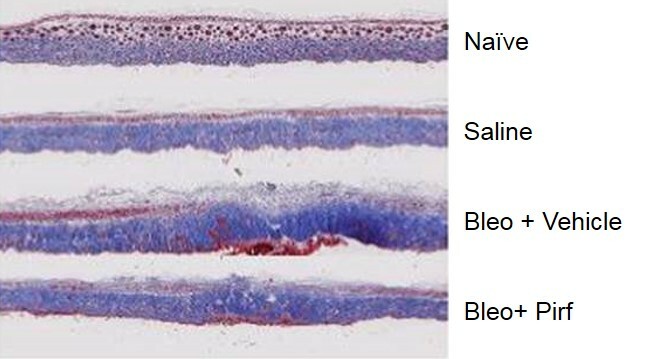 After being anesthetized, mice are administered daily subcutaneous injections of bleomycin at a single site. Animals are evaluated daily for body weight. After animals are sacrificed, collagen thickness and content, fibrosis scores, and other markers of skin fibrosis are determined. Dermal fibrosis appears in this mouse model of cGvHD beginning at day 30. Animals are evaluated daily for body weight and GVHD scores. 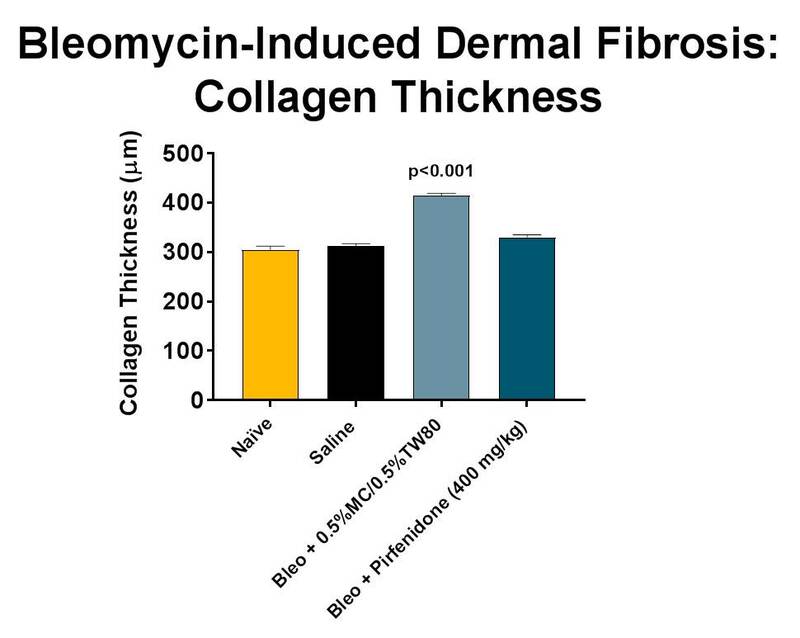 After sacrifice, collagen thickness and content, fibrosis scores, and other markers of skin fibrosis are determined. Hamsters provide an excellent model for radiation-induced fibrosis because of several biological similarities to humans. Furthermore, the cheek pouch is pliable and can be extracted, allowing for radiation to be targeted to the cheek pouch while the rest of the animal is shielded. The result is formation of fibrotic skin tissue on the cheek pouch approximately 16 days following radiation. Primary end points in this model include collagen content measurement and histology. 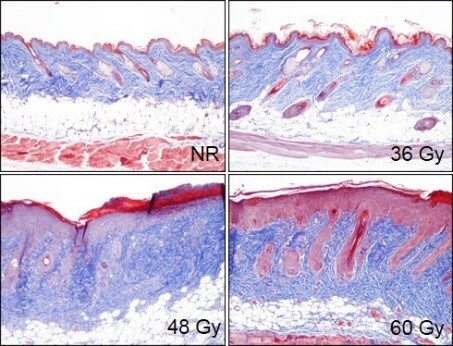 In the fractionated-radiation induced dermal fibrosis model the back of the mouse is shaved and/or depilated and the skin is temporarily tented such that it can be selectively targeted with radiation while the rest of the mouse is protected by a lead shield. Animals receive 6 fractions of radiation on a schedule of 3 days on, 2 days off. The progression of disease, which can also be observed in an acute radiation model, displays with mild erythema typically observed 8-10 days following radiation exposure, with disease severity peaking between Days 12-16 (depending on the dose of radiation), and with desquamation of approximately 50% of the irradiated area. Endpoints include dermatitis severity scores, collagen content measurement, and histological analyses.